Who doesn’t love a good Elder Holland quote? 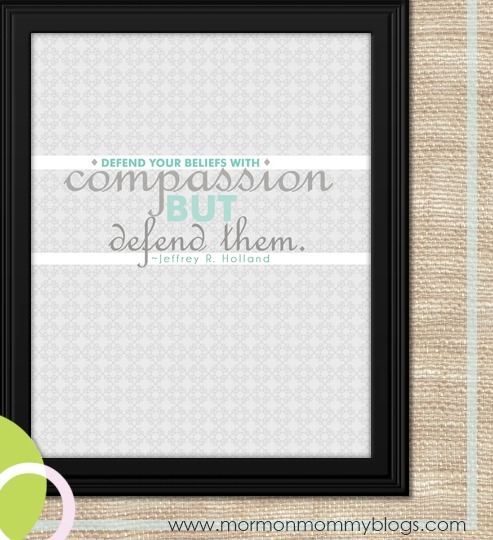 This particular free printable is a quote from Jeffrey R. Holland and says “Defend your beliefs with compassion, but defend them“. As usual, it’s a pretty powerful quote.